Moldovans are people who were born in Moldova yet migrated to North Americs. They speak Romanian. Therefore, an ongoing debate exists whether Moldovans are a fully fledged people group or a subgroup of the Romanian people group. Giving preference for Moldovan being a distinct people group are the number and evidence of distinct Moldovan points of interest. For instance, Moldovan communities exist in cities such as Sacramento, Asheville (NC), New York and Washington, D.C. Moldovans have their own Moldovan food restaurants, in places such as New York City. Several Moldovan associations exist in North America, such as the "Casa Mare" in Washington, D.C., and the "Moldova for Democracy and Development" and "Grigore Vieru" organizations in Brooklyn, New York. Another important Moldovan association is "The Moldova Foundation", a non-profit organization established in Washington, D.C. 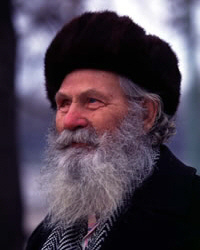 The majority of Moldovan people adhere to Russian Orthodoxy. A small percentage are evangelical Protestant Christians. Pray evangelical Moldovan Christians will grow in their faith in Christ and boldly share God's grace is not earned through good works but is God's free gift. Pray Christians will intentionally frequent points of interest where Moldovans hangout for the purpose of becoming their friend and sharing the message of Jesus Christ.